Texas has some very complicated laws regarding liability of parties during incidents involving an animal attack or bite. Attempting to navigate the muddy waters of the legal system can prove counterproductive for many claimants, and could result in injured or impacted individuals not receiving compensation due to them for their damages. The best approach for those who have been injured or sustained damages due to negligent or irresponsible pet owners is to seek out the advice and assistance of qualified dog bite attorneys who are experienced in animal bite laws for the state of Texas. If your or a loved one has been injured by a dog bite or animal attack, call Zinda Law Group at (800) 863-5312 for a 100% free consultation with San Antonio dog bite attorneys. Texas has adopted a "one bite rule" in regard to those harboring or keeping pets that have a history of biting or causing injury to others. In essence, this allows for compensatory damages to those harmed when the pet has exhibited the same behavior previously. Unlike other states, this no-nonsense approach places liability and fault in the owner's lap and helps claimants recover entitlements when the pet owner has an awareness of the pet's behavior or inclinations. When pets do not have this documented or noted trait, it can become more challenging to pursue a case and hold owners liable for the damages caused by their pets. Experienced dog bite attorneys can provide insight to help claimants file cases in such instances. Qualified and competent personal injury attorneys can also advise clients about the best route during issues of personal injury in a wide range of circumstances. With their proven diligence and efficiency, claims can be expediently progressed toward resolution and recovery of compensation. Issues complicating the outcomes of animal-attack law suits can include home ownership or insurance coverage that may be retained by those harboring the animals causing injury. While each situation is distinctive, it is encouraged that those with concerns seek out legal counsel and support from those with familiar with associated precedents or case law. 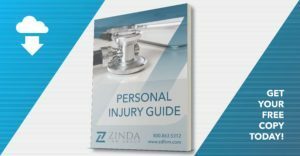 At Zinda Law Group, our San Antonio personal injury attorneys have helped many injury victims seek the compensation they deserved for medical bills, loss of income, pain and suffering, and much more. Our firm also operates on a contingency fee basis, which means you pay nothing unless we achieve a favorable settlement, judgment, or verdict for your dog bite case. That's our No Fee Guarantee. If you or a loved one has been hurt by a dog or another animal, call Zinda Law Group at (800) 863-5312 for your free consultation with our San Antonio dog bite attorneys.